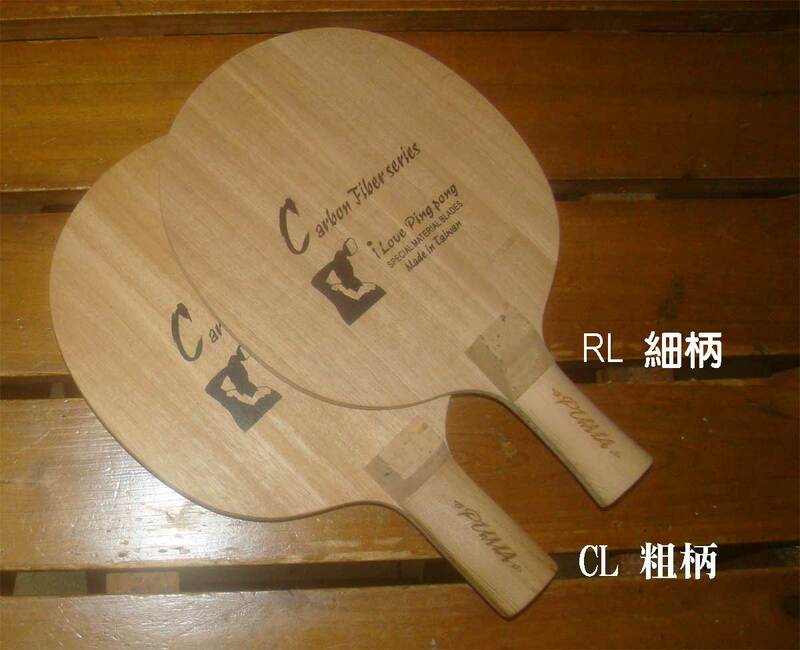 Coach Tony, a Table Tennis Coach from Taiwan, espcially made a cooperation with OEM, the world famous table tennis products factories in Taiwan. Strict selection of 5 Ply Carbon wood, materials and master craftsmen's hand-made. The flexibility of the racket is quite good and over the value. It's worth for cypress Pen's fans to buy and use. GRIP RL:Home station quick attack both sides loop, the handle makes the center of gravity move ahead thin short, pulls out flinging of vigor driver to increase, suits both sides loop attack host to play the player, the speed only slightly will be faster than the Cypress, therefore matches the rubber of slightly soft sponge to enhance the control. GRIP CL:Near stage quick attack both sides loop, the handle lets grasp the feeling more solid stubbily, and center of gravity pats the head, the home station controls is more accurate, is suitable to driver emphatically in the rotator, suits both sides loop to attack the player of All Round, the speed only slightly will be faster than the Cypress, therefore matches the rubber of slightly soft sponge to enhance the control. JOOLA-energy+ JOOLA-Zack Promotes the best high-speed combination, suits nearby the pursue high-speed two loop drive player to use. DHS TG 3 NEO+郭躍華729-FX 藍色海綿套膠 2.0mm Promotes the best stable combination, the speed and revolving proper attention to both can have very good showing, suits the pursue to stabilize nearby the two loop drive player to use. LKT Rapid-SPEED 魔速+郭躍華729-FX 藍色海綿 1.5mm Promotes best economizes stably the combination, speed and revolving proper attention to both, before suiting pursues nearby the two loop drive player to enter the step, the economizing matching use, after the progress, the rubber promotion space is also very big. Assembled Racket： YINHE Mercury II Red/Degree37+YINHE Mercury II Black/Degree 38 ，The best economical combination, revolving and stable proper attention to both, suit the beginner to use.